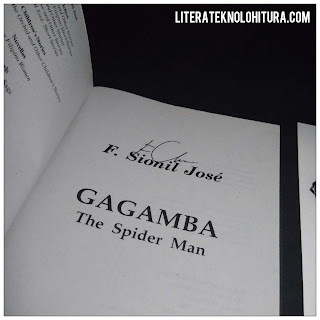 I initially thought the book is written in Filipino because the title of the book is Gagamba, a Filipino word, a spider in English. The book is written in English. Actually, the English title of this book is The Spider Man. Anyways, the story tells different faces of Camarin's customers who coincidentally meets Gagamba whenever they visit the said Hotel. Gagamba is the known alias of Tranquilino Penoy, a crippled man selling sweepstakes ticket to those patrons of the Camarin Hotel. This book tells the different faces of Filipino people, particularly those in power, their characteristics during that time. 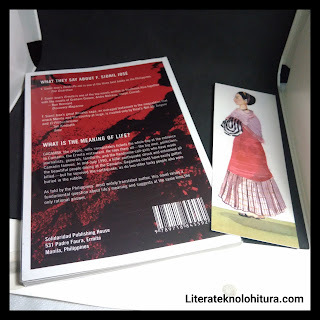 An era where the Marcos regime has fallen but the sins still linger through some of the characters. Some are battling their inner demons. Some are thriving to console themselves because of hardship in life. Some are selling themselves to make a living. Most were evil ways, staying like a habit that is hard to erase. 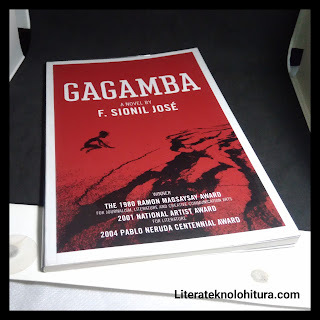 Reading Gagamba in this year 2018 is like a déjà vu. Note, this book was published in the year 1991 and the characteristics of the people of that age can still be observed in the current time. As a dismayed Filipino saying: the problem of us is comparable to incurable cancer. The tragic collapse of Camarin killing its many patrons is like purging the sinners. Leaving Gagamba himself and the orphaned child as the survivors, It signifies a new beginning with new positivity. As we see the demons of different Filipinos in this book, we can also see the opposite, that a Filipino like Gagamba despite the horrendous tragedy, he is still optimistic not just for himself but for the new member of his family, the other survivor, a child. That someday, that child survivor will come to fruition, she will break the normalized evil of that time in the future. In the current time and recent events, we can still see the kind of trait of Filipino like Gagamba has, even if oppressed or caught in an unfortunate tragedy like the Luzon Earthquake of 1990, we are still spirited to stand up and moves forward expecting a bright future ahead. I skimmed and saw you got a lot of nice book reviews there.